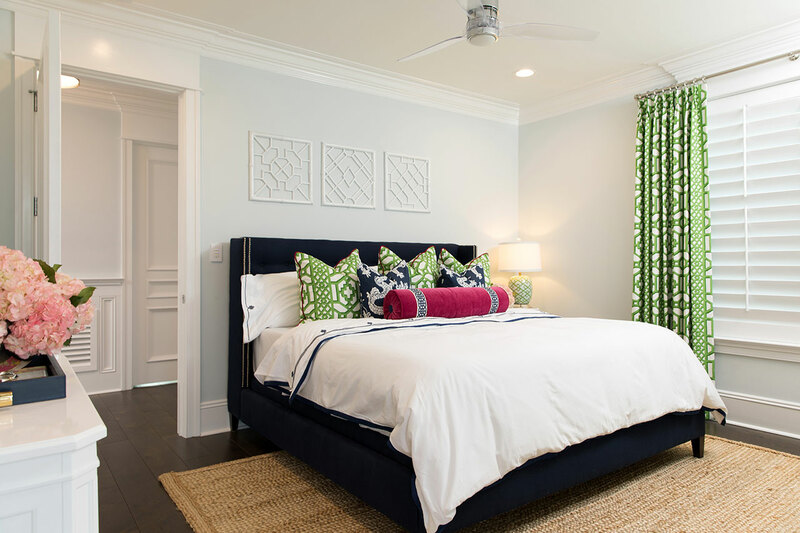 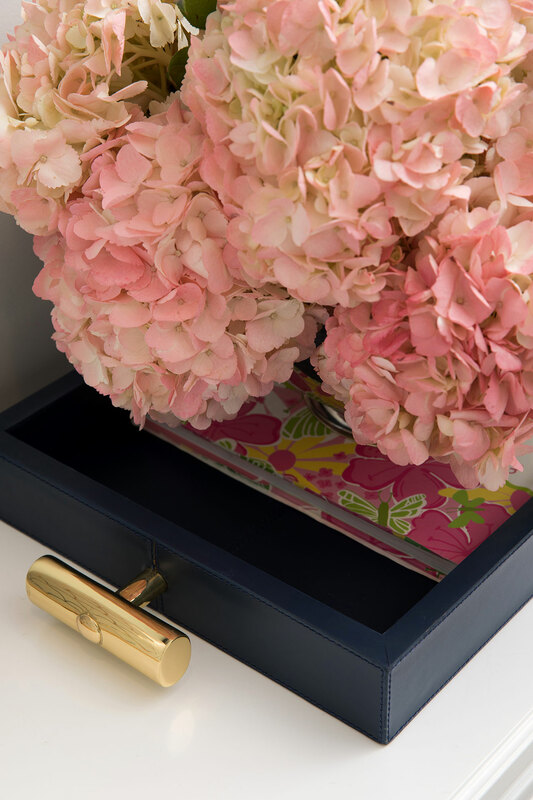 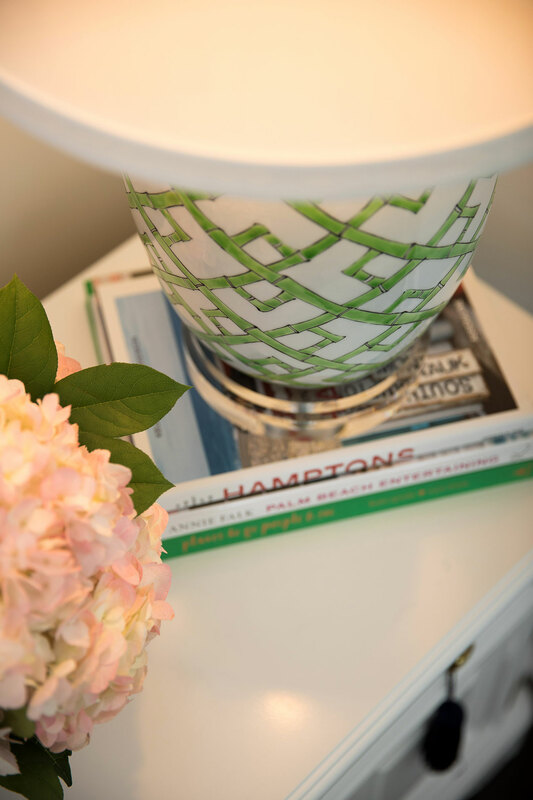 This client loves color and pattern, but didn’t necessarily want too much of it in the entire home. 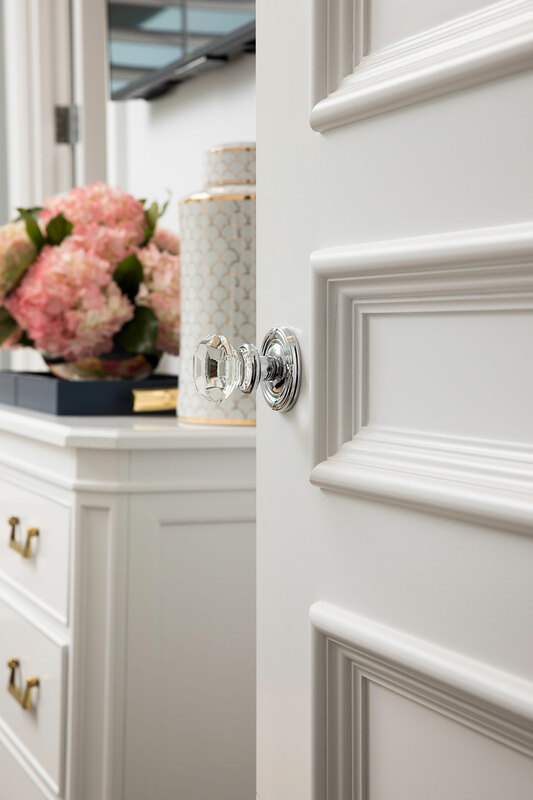 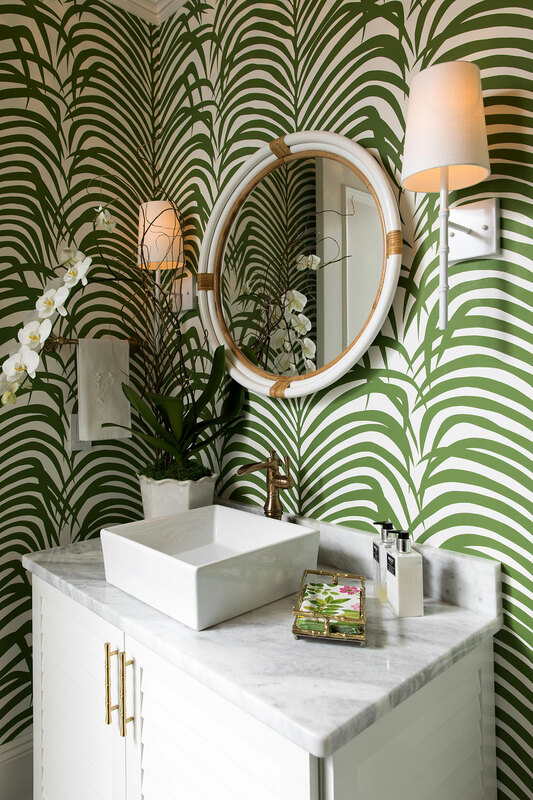 The powder room and guest suite were the perfect places to have a little fun. 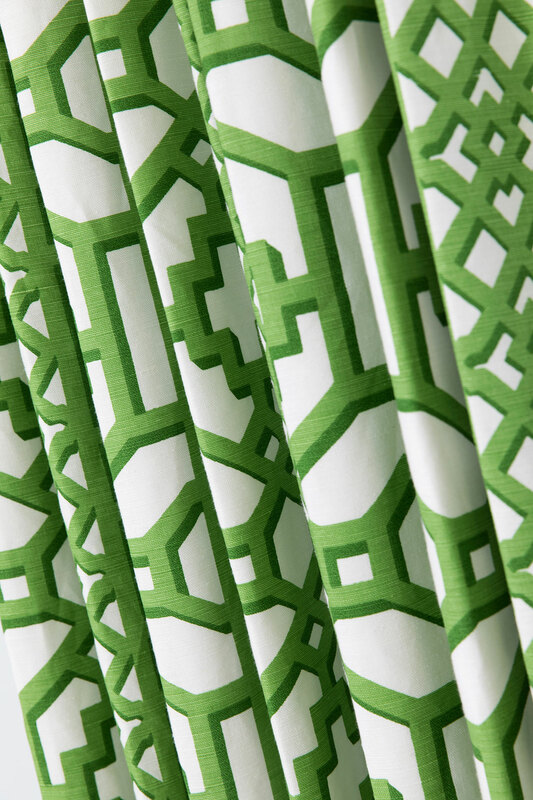 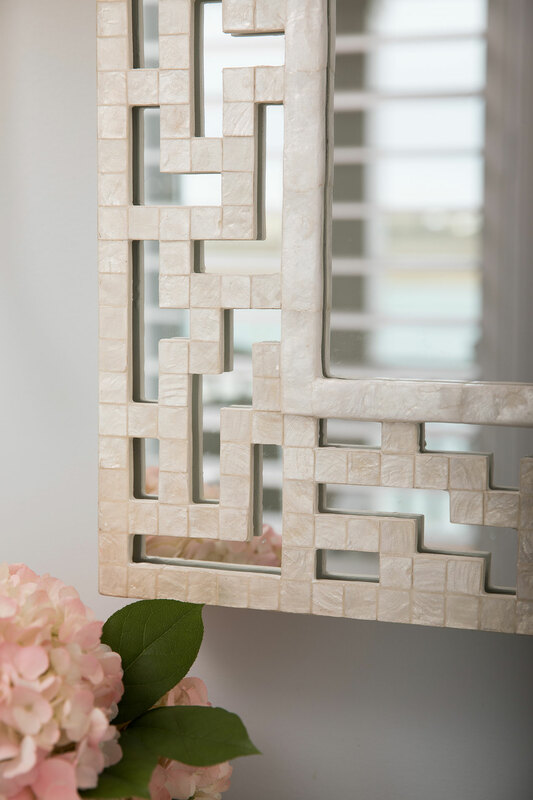 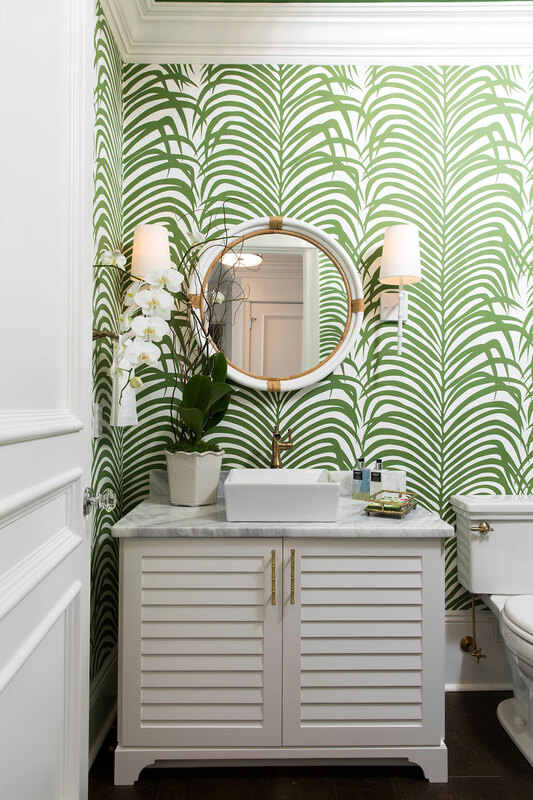 The powder room makes a statement with this kelly green and white palm frond wallpaper. 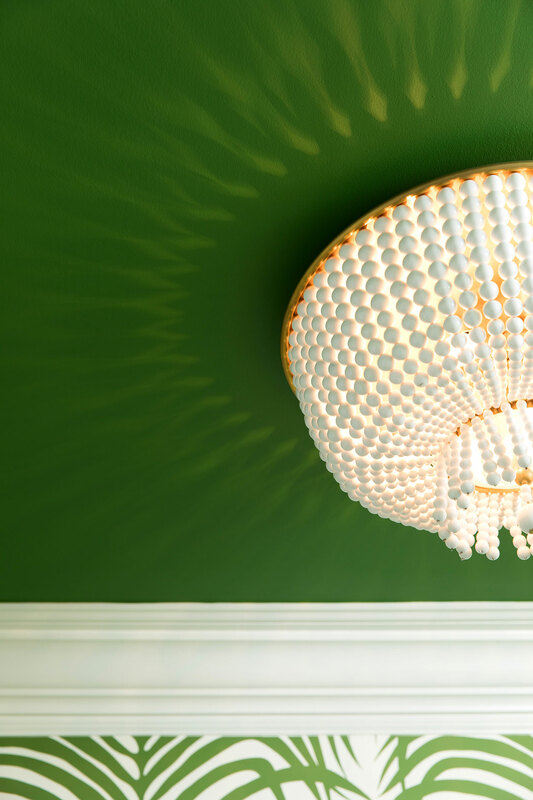 To accent the beautiful beaded lighting above, Amy selected a coordinating bold green paint for the ceiling. 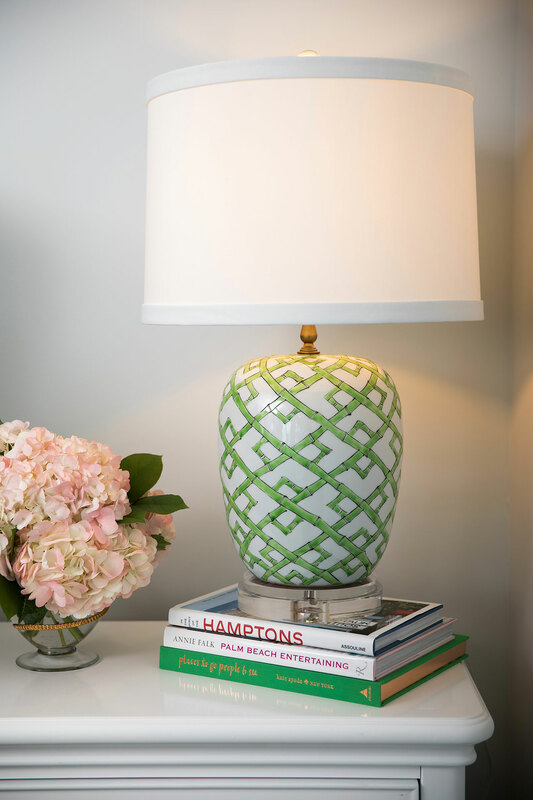 The darker color showcases the cool pattern the light fixture casts on the surrounding areas. 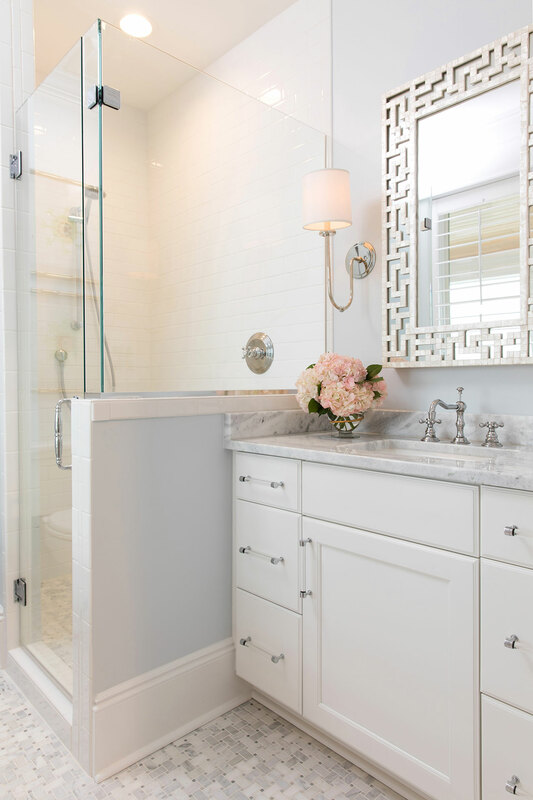 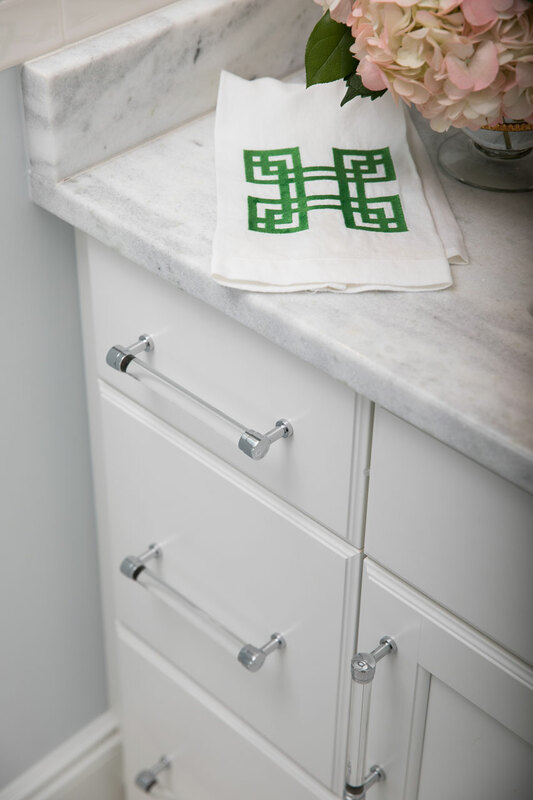 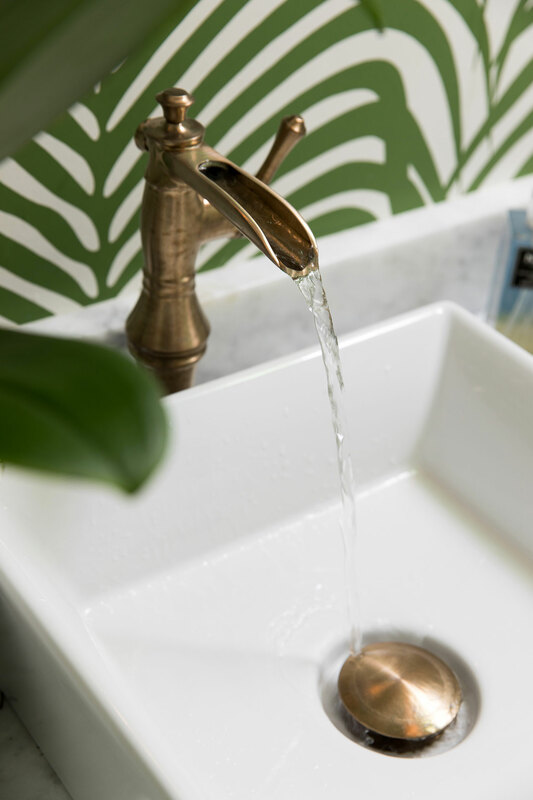 Brushed brass bamboo fixtures were a gorgeous combo with the green color palette. 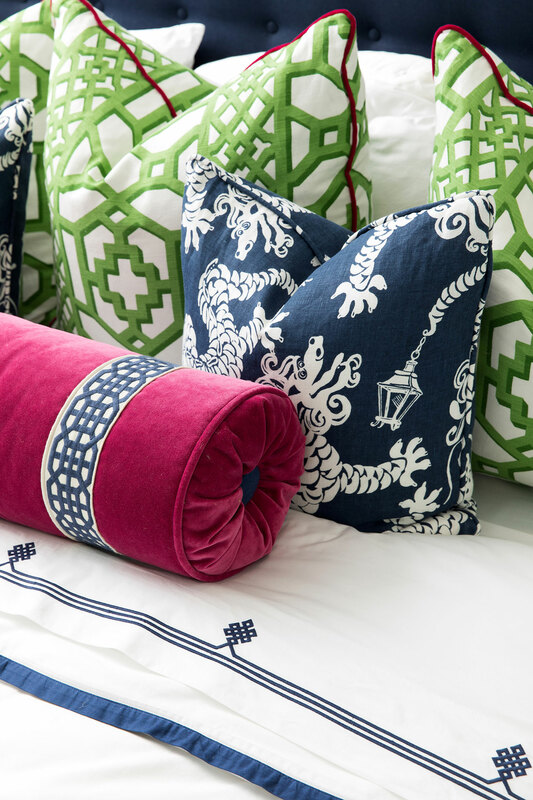 The adjacent guest suite uses the same green tone, with the addition of a bold navy and bright fuchsia. 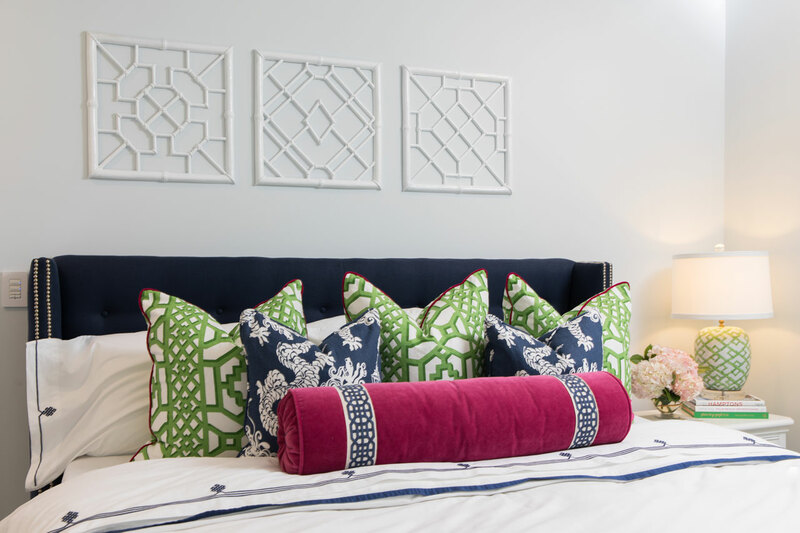 This space is very tailored, with traditional fretwork patterned drapery, upholstered tufted wingback bed and custom bedding. 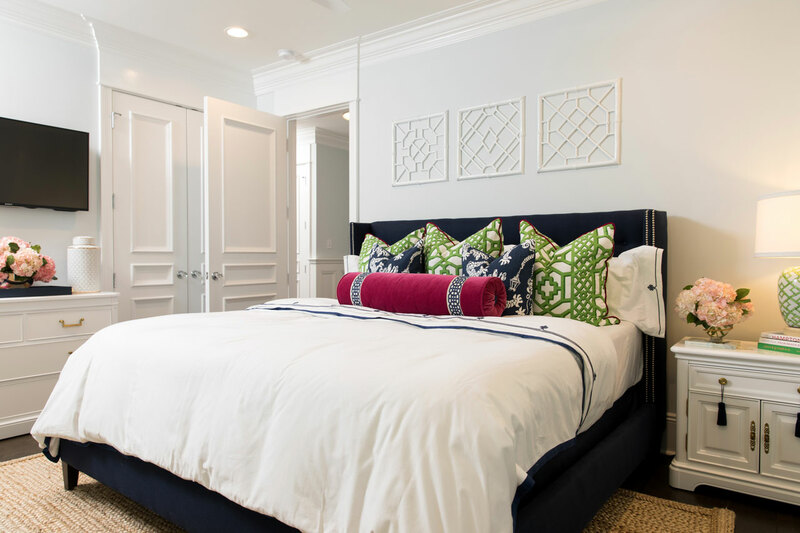 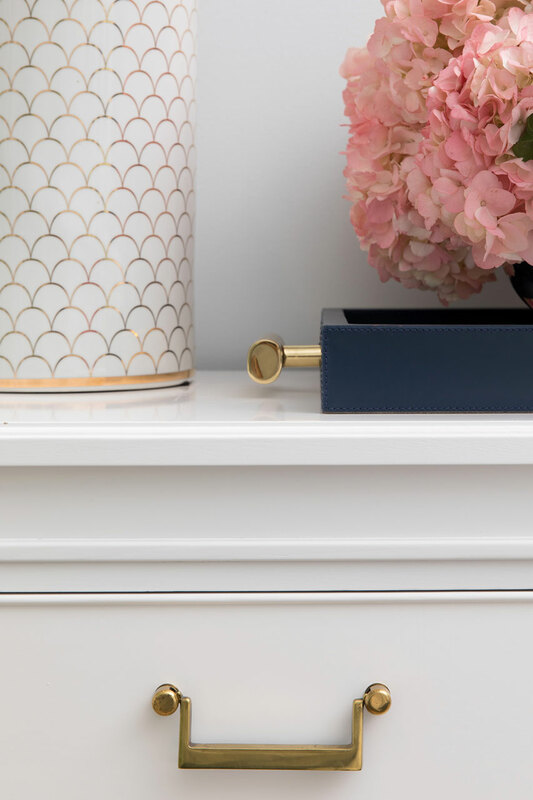 White lacquered vintage dresser and nightstands provide a beautiful contrast to the bold color scheme.